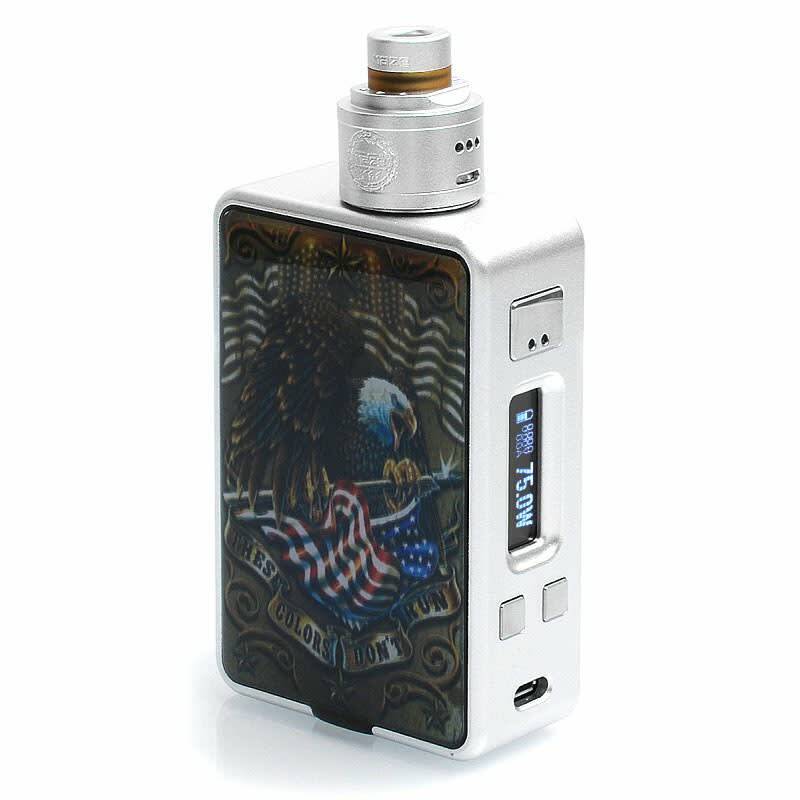 The HCigar VT Inbox DNA75 Squonk Kit combines the flavorful Maze V1.1 RDA with a 75W 8ml squonker mod powered by a single 18650 cell. A highly customizeable kit for advanced vapers. 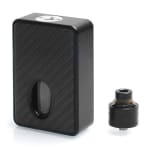 The HCigar VT Inbox DNA75 Squonk Kit combines the 75W TC box mod with a 22mm Maze V1.1 RDA, making an advanced, eye catching setup that produces rich, and flavorful vapor. 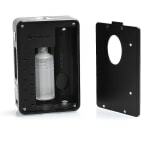 The HCigar VT Inbox is equipped with an Evolv DNA75 chip that's powered by a single 18650 battery, reaching up to 75W. The device is compatible with atomizer resistances as low as 0.25ohm in power mode, and 0.15 in temp control (SS/Ni/Ti). A built-in 8mL bottom feed sqonker bottle can be squeezed through the access hole in one of the the side panels. Both side panels may be removed for cleaning and can be swapped out for others to change up the look of the device. Spare panels are available here. A micro USB port supports charging of the cell as well as connectivity for customization of the device via EScribe software. 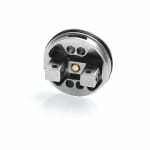 The 22mm wide Maze V1.1 is a bottom feeding RDA with two velocity-style posts. Top, bottom, and side airflows can be adjusted to allow you to fully customize the restriction of draw and airflow distribution throughout the atomizer. 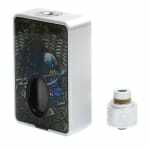 The threading of the drip tip ensures that it stays securely attached. A micro USB port can be used for upgrading the firmware and charging the cell; however, an external charger is recommended to extend the life of the battery. Great Hcigar mod for the money. Performs well and has decent battery life. You may be required to tweak the voltage cutoff depending on the mod settings out of the box. So buy it only if you know this kinda stuff. Bottom feeding working fine. Pretty good overall, no negative feedback.